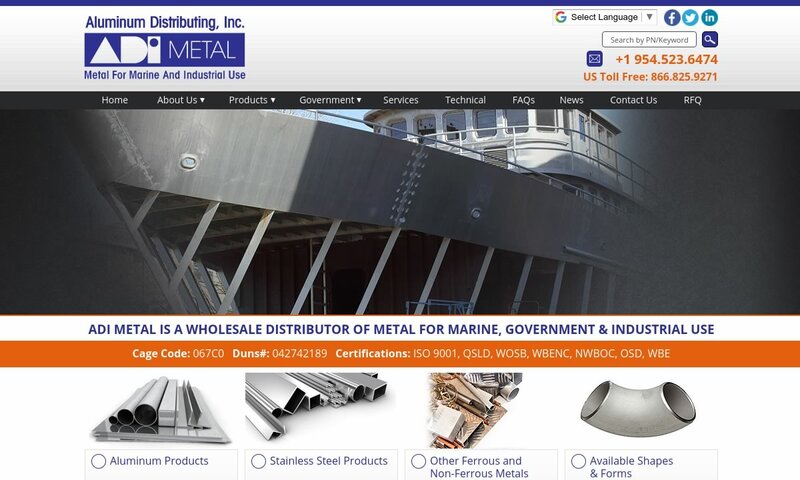 A reliable source for Aluminum Manufacturers information and a resource for accessing leading Aluminum Manufacturers and suppliers. Aluminum is one of the most widely used metals in the world. On the periodic table, it has the symbol Al and the atomic number 13. Unalloyed aluminum is a silvery-white color. Refined from an ore called bauxite, aluminum is, in its pure form, incredibly soft and pliable. However, when it is alloyed, which it most often is, it becomes tough and enduring. Aluminum enjoys its popularity for a number of reasons, including its non-toxicity, its non-magnetism, its resistance to corrosion, its light weight, its superior ability to conduct electricity, and its ability to withstand extremely low temperatures. In addition, aluminum scrap may be recycled over and over again. Aluminum Manufacturers Aluminum is one of the most widely used metals in the world. On the periodic table, it has the symbol Al and the atomic number 13. Unalloyed aluminum is a silvery-white color. Refined from an ore called bauxite, aluminum is, in its pure form, incredibly soft and pliable. Our company may have started small, but we quickly grew to handle the largest aluminum orders. Our metals are made from the highest quality materials, and we pledge to offer superior service to all our customers. 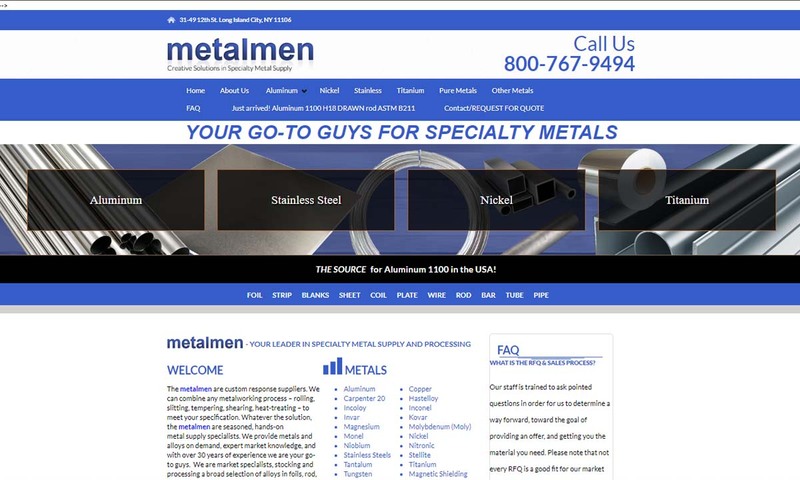 Metalmen has the largest inventory of Al 1100 plate and bar in North America. We can serve our customers with other Al alloys in foils , sheet, rod, channel, angle, tube and pipe. Paragon Steel has a variety of products in stock for your needs. We have everything from I beams and stainless steel plate and tubing, to hot and cold rolled coil and sheet, and everything in between. Aluminum Distributing brings our customers dependable wholesale of aluminum. Please visit our website to see other grades that we provide. Before people used aluminum, they used alum, which is an aluminum sulfate that can be derived from the same minerals in which aluminum is found. A number of ancient historians made mention of alum, including Herodotus, a Greek historian who lived in the 5th century BC, and Pliny the Elder, a Roman historian who lived in the 1st century AD. They used alum to dye fabric. It became so popular, in fact, that they exported alum to mainland Europe until the 15th century. We believe that the Romans used aluminum oxide clays (alumina) to tan hides, fireproof buildings and administer first aid. They did not, however, recognize the clay as aluminum. Scientists and alchemists took the first steps toward understanding aluminum during the 16th century. This began when a Swiss physician and alchemist know as Paracelsus suggested that alum was a separate entity from sulfates, which at the time they called vitriole. He proposed that, rather, that alum was a salt produced by an element. Sixty-five years later, in 1595, Andreas Libavius, a German chemist and doctor, learned that copper(II) sulfate (then called blue vitriole), iron(II) sulfate (known then as green vitriole) and alum could be made using the same acids, but different elements. He could not figure out the element from which alum came, but he gave it a name anyways–alumina. Next, in 1722. Friedrich Hoffmann, another German chemist, proposed that the alum base was an element all its own. Meanwhile, just six years later, a French chemist named Étienne Geoffroy Saint-Hilaire countered that with the suggestion that alum was an oxide created from a combination of sulfuric acid and an unknown metal element. In 1825, Danish physicist Hans Christian Ørsted was the first to finally discover the metal and produce an aluminum alloy. Once he figured out how to refine it, aluminum became quite popular. However, it was only popular with the wealthy, because it was incredibly expensive. It was, for a time, more expensive than gold. This was because it was hard to find and difficult to refine. Aluminum became more accessible to manufacturers after Karl Josef Bayer developed a new aluminum extraction process in 1887. A few different scientists developed alternative extraction methods before him, but his is the most well-known and widespread. Once Bayer’s methods spread, aluminum became much cheaper. Its arrival on the market was perfectly timed, as it allowed engineers to better build emerging technologies and machines, such as cars, airplanes and electrical wiring. During World War I and World War II, aluminum plate and sheet were indispensable, as factory workers used them to make airplanes, ships and weapons. In aerospace in particular, manufacturers enjoyed aluminum because it was lighter than steel. In the 1950s, manufacturers used aluminum to make appliances and household goods, such as aluminum foil, cutlery and washers and dryers. It was also during this decade that manufacturers introduced the first aluminum pop cans. Also, in 1957, Americans launched their first space vehicle, which was made from aluminum. Since then, aluminum has continued to be popular in all its forms, from powder to plate. Over the years, it has fluctuated in price and from where it is imported most, but it has never wavered as a commodity. Suppliers employ a variety of methods to process aluminum, such as: roll forming, stamp pressing, extrusion, forging, and/or die casting. After its initial formation, aluminum suppliers may also treat aluminum with secondary or finishing processes, such as machining, drilling, cutting, painting, or anodizing. Roll forming is a fairly common method of aluminum processing, which, as it proceeds, makes aluminum more ductile and less brittle. This method is used to make both very thin products, such as aluminum sheets, aluminum plates, aluminum coils, aluminum strips, and hollow products, such as aluminum pipes and aluminum tubing. To create the latter, operators must use specially formed rollers. 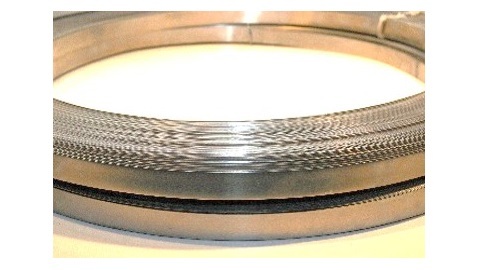 If they are processing aluminum coil, manufacturers will likely follow this up with secondary processes like slitting the coil, cutting the coil to length, shearing the coil or leveling it. Stamp pressing is also a popular choice; it creates flat aluminum sheets and plates, along with some shapes, by pressing material into die cavities, using massive amounts of pressure. Aluminum extrusion is an aluminum forming process during which manufacturers make shapes by heating billets and forcing them through a pre-shaped metal die. They may hot form or cold form the aluminum, depending on its properties. Hot extrusion is popular with manufacturers for fabricating products like rods and bars. To hot extrude, or hot form, aluminum products, manufacturers heat the metal above its recrystallization temperature, to the point of plasticity. For aluminum, this temperature is between 650 ℉ and 900 ℉. After newly formed extrusions have cooled, manufacturers may put them through secondary processing. Cold extrusion, on the other hand, is performed at or just above room temperature. Manufacturers use cold extrusion to create stronger extrusions with closer tolerances and better surface finishes. Cold extruded aluminum parts do not have to undergo oxidation. Common cold extruded aluminum products include gear blanks, shock absorber cylinders, fire extinguisher cases, and collapsible tubes. Forging is a simple process that involves pounding, squeezing, or hammering aluminum into a desired part. Die casting is the most common method of aluminum forming. During this forming process, manufacturers pour molten aluminum directly into a permanent mold that is made of steel or cast iron. In addition to these, aluminum may also be sand cast (cast using a temporary sand mold), welded, milled, or made into a powder. Manufacturers may alloy aluminum with a number of different elements, such as silicon, magnesium, copper, iron, and zinc. The element with which manufacturers join aluminum depends on what properties and for what applications they wish to create an aluminum alloy product. 6061 Aluminum is one of the most commonly produced aluminum alloys. Containing silicon and magnesium, this metal is a heat treatable, weldable metal that can be annealed or cold worked. Based on these qualities, aluminum suppliers frequently sell 6061 Aluminum to fabricators of vehicle parts, such as truck and marine components and pipelines. 7075 Aluminum exists on the other end of the spectrum. Alloyed with zinc, is exceptionally strong. It is about as strong as most steel alloys. It also has a higher shear strength and tensile strength than stainless steel, though stainless steel has it beat in fatigue strength. This corrosion resistant alloy has such a good fatigue strength, in fact, that it is not weldable. This particular alloy is much less common than 6061, and as such, it is more expensive to obtain. It is mostly used in the construction of products where safety is key, such as the construction of: bicycles, aircrafts, and lacrosse and rock climbing equipment. 1100 Aluminum is among the purest of aluminum alloys. It is between 99.0% and 99.95% pure aluminum. It is alloyed with small amounts of copper, iron, manganese, silicon and zinc. Because of its high aluminum content, it is very soft, pliable, and formable. With its low strength, it can only be strengthened by cold working; heat treatment is not an option. Manufacturers use this relatively delicate aluminum alloy to make railroad tank cars and chemical equipment. Using aluminum, manufacturers can make countless products and shapes. Some of the most common aluminum shapes, which they can sell as-is or use as components of another product, include aluminum bars, aluminum coils, aluminum plates (plate aluminum), aluminum tubes/tubing, aluminum sheet, aluminum strip, aluminum wire, aluminum rods, and aluminum pipes. Note also that, sometimes manufacturers use the terms “aluminum plate” and “aluminum sheet” interchangeable. Technically, though, plate and sheet are two different things. A plate, whether it is aluminum, stainless steel, carbon steel, or any other metal, qualifies as a plate if it is 6 mm or thicker. To be a sheet, the metal must be between .2 mm and 6 mm. Metal thinner than .2 mm qualifies as foil. Another difference between the two is the fact that plate metal is used where manufacturers require durability. Manufacturers also choose plate metal when they’re not concerned with weight. (Plate metal is heavier.) Plate metal is, for example, quite a common component of automobiles. Sheet metal, on the other hand, is used where manufacturers want to create structure but do not necessarily need durability. In architecture, builders often use aluminum shapes such as these to construct siding, roofs, windows, and doors. They may also act as an insulative layer of a building. In the world of chemistry, aluminum is a common ingredient of antacids. Aluminum is also a common element of aircraft wings, military vehicles, and irrigation pipes, not to mention automobiles, transport cables, and overhead power lines. On the factory floor, aluminum is used to make beer and soft drink cans, and around the house, aluminum is found in food storage foil, pots and pans, cooking utensils and appliances. Aluminum has many benefits. For example, it is more elastic and malleable than stainless steel. In addition, manufacturers can quite literally push the boundaries of aluminum sheet farther than the sheet of other metals. Aluminum plate is especially workable for customers seeking metal products with both deep and straight walls. Another great thing about aluminum is the fact that it is recyclable. Also, unlike metals like carbon steel, aluminum does not require a coating or extra working in order to be corrosion resistant. This saves everyone time and money. 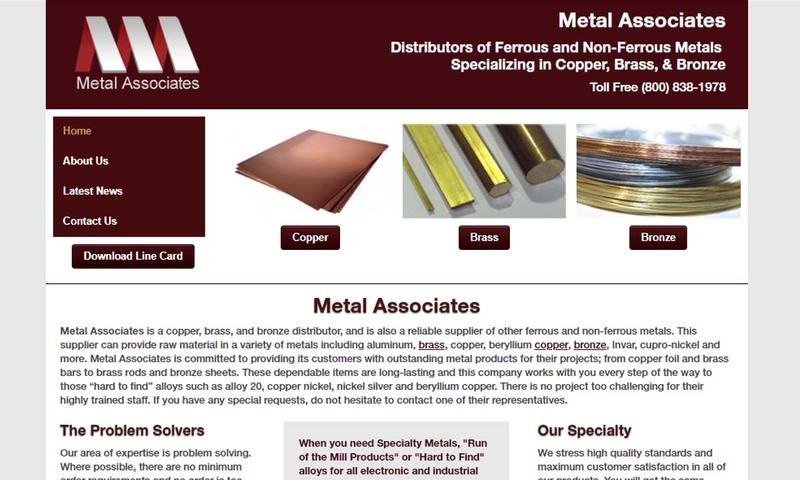 If you’re on a hunt for a metal product, and you think that aluminum might be the right match for you, you need to reach out to a to an aluminum sheet supplier you can trust. To help you avoid the riff raff and get straight to the high quality, manufacturers, we’ve put together a list of aluminum companies for you to check out. Before looking them over, we recommend you take some time to write down your specifications and requirements, so that you will be fully prepared when you talk to your potential suppliers. 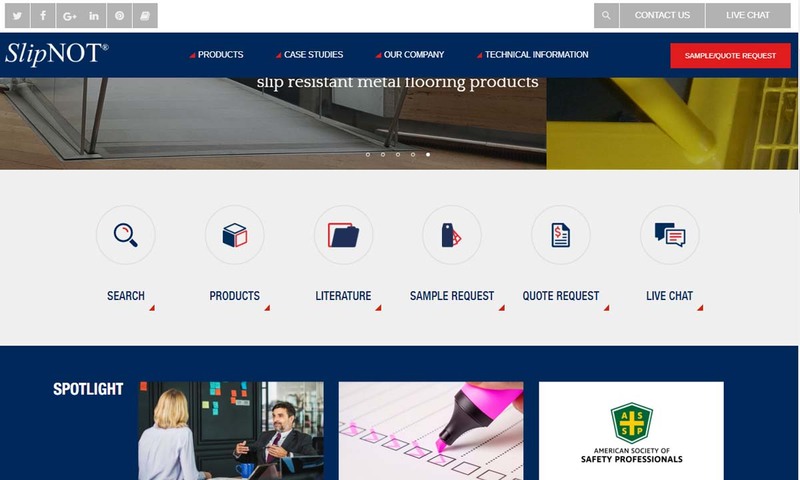 Make sure your list includes items like: your budget, your project deadline, your standard requirements, the quantity/volume of your request, your delivery preferences and your post-delivery support preferences. Once you’ve done that, start browsing.  We provide here not only the names and contact info of each manufacturer, but also interactive profiles that make your search more efficient. Pick out three or four to whom you’d like to speak directly, then reach out to each with your questions. Take notes and then compare and contrast your conversations. Choose the one you believe will best serve you. Good luck! In the last few decades, aluminum production has declined in the United States and spread overseas to other countries. So, at the moment, American metal products manufacturers important a large portion of their aluminum. Reports from 2018 say that American manufacturers import about 90% of the aluminum they use. While the current administration wishes to place tariffs on aluminum imports in order to boost US production, the proceedings concerning that are quite complicated; some countries are except, some are not, and some are for now but will not be forever. Plus, companies may apply for exceptions. So, how does this affect your manufacturer selection? Since so much of the American industry relies on imports, we recommend you just proceed as usual. You will not gain much by connecting with an overseas supplier, as the cost of importing will come in some place or another. When working with an American manufacturer, even if your aluminum supply comes from overseas, the work of turning aluminum profiles and raw aluminum into usable products will take place here in the USA.